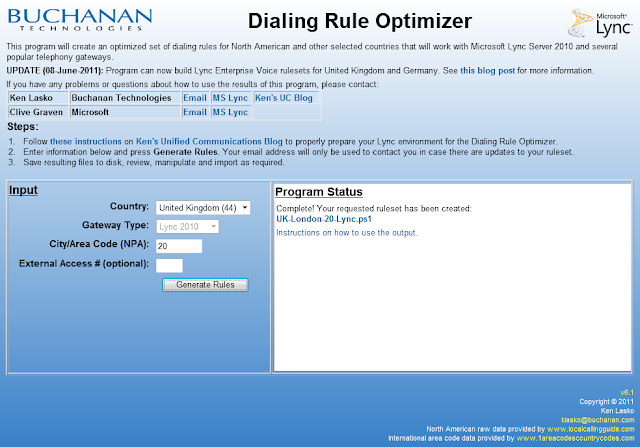 When setting up Response Groups in Lync, you might want your callers to hear ringing rather than some sort of hold music (either the default provided by MS or custom). I've seen people looking for a solution in the forums without much success. What I did in this situation was to download a .WAV file of a ringtone (known as "ringback" in telephony lingo) and set that as the hold music for the hunt group. Lync will play back the file continuously, so an audio sample of a single ring will suffice. The ringtone I downloaded had no pause in it, which meant the caller would hear a constant ring without a pause. That was fixed by inserting a silent stretch into the .WAV file. Remember to save it as an 8 or 16 kHz, mono 16-bit WAV file. Here's a sample for North America (right-click and Save-As for best results).